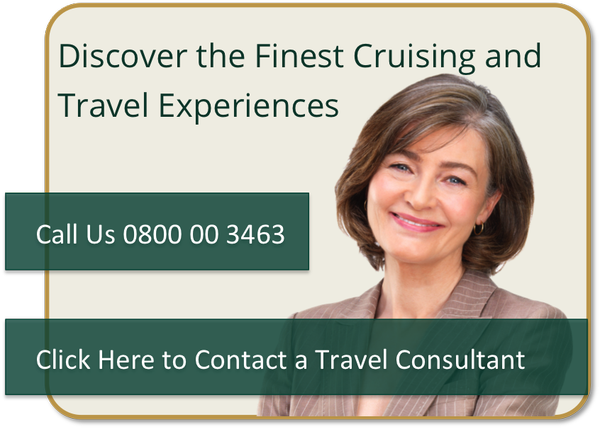 Click here: Holland America Cruise Specials. For more than 140 years, Holland America Line has been a recognized leader in cruising, taking guests to exotic destinations around the world. If you are looking for some of the most spacious and comfortable ships at sea, award-winning service, five star dining, extensive activities and enrichment programs and compelling worldwide itineraries, you’ve come to the right place. Holland America is committed to its mission: Through excellence, we create once-in-a-lifetime experiences, every time. Holland America cruises include popular and less-traveled ports in the Caribbean, Alaska, Europe, Mexico, South America, the Panama Canal, Australia, New Zealand and Asia. Unique voyages to the Amazon, Antarctica and extended Grand Voyages are also available. Along with enticing destinations, Holland America offers one-of-a-kind programs such as the Culinary Arts Centre cooking demonstrations and The Collections of Holland America Line – specially chosen shore excursions to further enhance guests’ appreciation and understanding of the places they visit. 11 Night Cruise sailing from Ft Lauderdale to Montreal aboard Amsterdam. 7 Night Cruise sailing from Montreal to Boston aboard Amsterdam. 25 Night Grand World Voyage sailing from Auckland to Singapore aboard Amsterdam.